Are you looking for the best to-do apps for your iPhone or iPad to manage all of your tasks easily ? This article can give you a list of useful to do apps that come with lots of functions. In this article, we’ve listed only selected apps for your device. Check the list of best task management apps. 1. Any.Do ( iPhone ) – Any.Do is one of the most popular and useful to-do apps for iPhone users and it comes with advanced reminder tool and lots of other useful features such as powerful cloud syncing feature, speech recognition option, note taking and task repeating feature, calendar, time and location reminder and more. Beautifully designed easy task management app that comes with powerful planner that can help you plan your monthly tasks in a easy calendar view. Great app that is integrated with white and black themes and supports 25 languages. 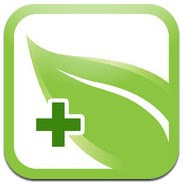 Very useful app that can be installed on your iPhone free of cost. 2. Toodledo – To Do List ( iPhone & iPad ) – Toodledo is one of the best to-do apps for iPhone and iPad users and it is integrated with lots of task management features. An advanced task management app that includes many features such as – easy to use organizer for notes and to-do lists, powerful task management feature, priority tracking feature by date, length or status of a task, powerful reminder , Hotlist to find quickly important tasks, password protection and lots of other useful functions. Toodledo also allows you to import tasks from reminders , add voice tasks , organize and store your notes in your notebook section. 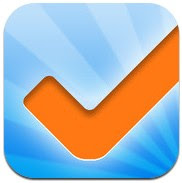 Full featured advanced task management app for iPhone and iPad users. 3. Paperless: Lists + Checklists ( iPhone & iPad ) – Beautifully designed powerful to-to app for iPhone and iPad users that can be used to create and manage any type of list such as – to do list, grocery list, list for vacation planning, notes etc. Easy to use task management app that comes with fun stickers to assign list with a sticker, customizable themes , powerful syncing feature to sync lists between devices, duplicate list creation tool , search function and powerful passcode locking function to protect your data from others. 4. 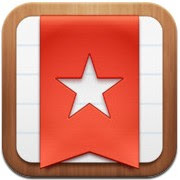 Wunderlist – To-Do & Task List ( iPhone & iPad ) – Very useful to-do app for your daily tasks. 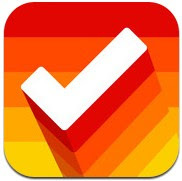 Wunderlist lets you manage all of your tasks and to-do lists on your iPhone/iPad easily and you can download this useful app from the app store free of charge. The app comes with powerful syncing feature to sync your important tasks and to-do lists to all of your devices. With Wunderlist, you can easily share lists with your friends or others to manage any type of team project. If you purchase pro membership, you can unlock many useful features such as- assigning to-dos to friends and colleagues with tracking feature, attaching all types of files to your to-do lists , including photos, videos, presentation decks, spreadsheets,PDFs and other types of files. Very useful app for iPhone/iPad users. 5. Clear ( iPhone ) – Powerful and clean to-do app that helps you take quick notes and manage to-do lists on your iPhone. With this app, you can easily create and mange personal tasks and to-dos, shopping lists and important notes. Great task management app for iPhone users that comes with very nice user interface. 6. 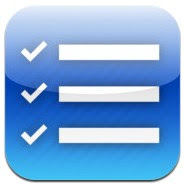 List Master ( iPhone & iPad ) – List Master is a fully functional task manager that includes tons of advanced task and to-do management features. Very useful app for iPhone and iPad users that helps you create and mange perfect daily to-do lists, tasks, grocery lists, password lists, homework, music, movie lists and many other types of list in a clean and easy user interface. Featured rich task management app that comes with lots of functions which could be very useful for housewives, team managers, office staffs and college students. Recommended app for iPhone and iPad users.